Tonight the Reds meet the Pirates in the middle game of the current three game series at PNC Park in Pittsburgh. The Reds can still win the series and complete a winning road trip if they can reverse their fortunes and win the remaining two games of the series. Game time tonight is 7:05. Lefthander Cody Reed is scheduled to start for the Reds. The Pirates will counter with righthanderÃ‚Â Joe Musgrove. 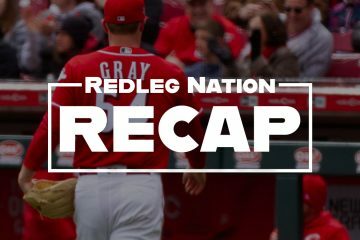 Tonight marks Cody Reed’s third start of the 2018 season and second start since being reinserted into the Reds rotation on August 30 against the Brewers.Ã‚Â Reed performed well on August 30 allowing just 1 run (earned) in 4.2 innings.Ã‚Â Eyebrows were raised when he was pulled mid inning in a leverage situation despite having a pitch count of just 73. Jim Riggleman later explained Reed’s exit had been due to him being on a tight pitch count that night as he was being transitioned from the MLB bullpen to the rotation.Ã‚Â Reds fans hope Reed will be able to extend his stay tonight with similar results. Joe Musgrove is a 25 year old righthander selected in the first round (46th overall)Ã‚Â of the 2011 draft by Toronto. After being traded to Houston in 2012, he was sent to the Pirates in January of this year along with 3 other players as the return on former Pirates ace Gerrit Cole. Musgrove started 2018 on the DL with shoulder discomfort. Following recovery and rehab, he was placed in the Pirates rotation in late May and has made 16 starts for the Pirates this season including a June 17th start versus the Reds when he was roughed up for 6 runs (all earned) in 4.1 innings of work. The key to Cody Reed’s success to stay on top of his pitches and thus create a downward plane on both his fastball and slider. When Reed does this, his pitches avoid prime hitting zones; and, he misses bats or induces weak contact. When his release flattens, his pitches end up in prime hitting hot zones or sail wildly out of the strike zone resulting in an abundance of bad outcomes. Musgrove is coming off consecutive poor starts, both on the road, against the Cardinals and Brewers. In each game he allowed 2 home runs. He will be hoping his return to the more pitcher friendly PNC Park where his ERA is nearly half a run better than on the road will help him avoid the long ball and another poor outing. Sal Romano and Jackson Stephens both pitched an inning on Monday; but, could be available for similar duty tonight. Otherwise the Reds pen should be unfettered and ready to go. The Pirates pen worked 2.1 inning on Monday spread across three pitchers. Nobody worked more than an inning. Their leverage relievers were not called upon. FACT: The Reds with the two lowest OBP are batting at the top of the order. You can decide what if any significance should attach to this fact. 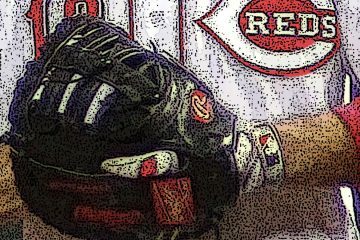 Reds are filling out the expanded roster (looks like Brandon Finnegan will not be recalled)……. From #Reds: recalled from Class AAA Louisville RHP Tyler Mahle , selected from Louisville the contracts of C Tim Federowicz and OF Gabriel Guerrero and recalled from Louisville RHP Keury Mella for the purpose of placing him on the 60-day disabled list (left oblique strain). The Cincinnati Reds are on the verge of losing 90+ games for the fourth consecutive season. Rather than puzzle about what this might mean now and for the future (there is a long cold off season ahead for such musings), here’s a story not about baseball or even football as it might appear on first glance. Instead, it is a remarkable uplifting story about being human. Bookmark it to read when you have time to appreciate and be moved by its totally unbelievable but true twists and turns. And in the meantime because we are obsessed Reds fans, as always,Ã‚Â GO REDS! I know many here aren’t soccer fans, but today was a VERY important day for all fans of Ohio professional sports. The “Art Modell” law got heard today in Franklin County (Columbus). The Columbus Crew are attempting to move to Austin, Texas without locals having a chance to buy the team. Thus, the #SaveTheCrew movement, which I am part of, and the lawsuit. Ohio is the only state that I know of that has such a law on the books, and today is another reminder why I am very proud to be a citizen here. Not interested in Bengals, but you can bet Mike Brown knows about this case. I’ve follow several Twitter sources that are covering this situation. It is going to get very interesting if a local buyer can be rounded up. Every sports league does not want a trial verdict in favor of the State of Ohio and upholdng he Modell Law. Other states/communities would feel emboldened to pass their own version. If the Motion to Dismiss fails and a local group emerges…maybe the Crew gets saved without it going to trial. Who do you think is on the hook in Austin if the Crew is sold and kept in Columbus? PSV, MLS or the Austin taxpayers? Some of those council meetings seemed pretty pretentious as reported here on this end. Most likely rumored scenario, if Crew stays… Crew stays in Columbus, as is, with local ownership. As of now, “Crew in Austin” would play in Round Rock baseball stadium, if moved for 2019. Not optimal for team, league or fans, it appears on surface. Obviously Riggs was told to put Billy back at lead off and keep him there even if you have a low OBP guy with no power getting more at bats then others on the team.People around the league know how foolish it has always been but its what the Reds always do.Good to see Ervin get extended time but just as sad to see Herrera on the bench.Nothing new just the same old thing as we get one game closer to calling it another very frustrating year.Lets win one tonight because well it would be a good thing. I agree on Herrera. But, assuming Blandino and Winker come back healthy and the Reds keep Hamilton and Gennett( they will) and Senzel becomes a starter somewhere in 2019 and Ervin is the 4th /5th OF…..where does Herrera have a 25 man roster spot? I think this is the Reds way of saying he does not. They paid a high price for him (Jay Bruce). I would think that playing him would at least maximize his trade value. But, this is the Reds. So…probably not. And remember that Scooter is playing second base and is in the running for a Batting title, and at the very least, getting 200 hits in a season. The Players Association might take a dim view of benching a top offensive player to play a rookie, even for a last place team. And by the way, I certainly hope that Billy Hamilton is NOT with the Reds next year. Billy is a nice guy and all, but he is not worth what they are paying him.Obviously. Your right but its a mistake but somebody will give Herrera a shot. I considered writing an alternate explanation of why particularly Gennett but also BHam are playing every day, In a nutshell, maybe they are looking to do everything possible to try to run up their trade value come the off season. Also in Gennett’s case, I think it would reflect poorly on the organization amongst the players’ community, both Reds and league wide, to sit out a guy who is competing for the batting crown. That said, as long as he gets his qualifying number of plate appearances in, he might actually play better with a day of rest every week. I think Hamilton will be the starting center fielder and bat lead off for 2019. I think the 2019 lineup will be Winker in left, Hamilton in center, and Schebler in right. I think Ervin is odd man out. Cody Reed as a starter is worth watching. Grab the opportunity young man. Yes, BA isn t the end all be all, but no Red has won a batting title since Pete Rose in 1973. Go Scooter. Watching Eugenio Suarez and Joey Votto hit are always good reasons to watch the Reds. Reed also seems to now be the last best hope to net anything of significance from the Cueto deal which may get him every last chance to come through for them. Based on your FACT I conclude the following FACTS: Riggleman, or someone telling him what to do, values speed over OBP, and players with speed should get more at-bats than those with higher OBP. My conjecture is that the lineup Riggleman is using today is the one that he thinks will maximize his win total in September and maximizing wins for the remainder of the season is his goal. His and his alone or also the org’s? It would be amazing and depressing to think that both Riggleman and the rest of the org favor speed over higher OBP at the top of the lineup. KMARTIN you conjecture could be right, but do you think Riggleman has complete control of the lineup every day? Good question, I do not know the answer. However, given the lack of playing time for Herrera and not seriously experimenting with Ervin in center makes me think winning games in 2018 is the objective. Doesn’t Sean Casey live in Pittsburgh? If so, would be fun to see a cameo on this broadcast. Feels like Jim Day’s style would get him bantering. Would love to see Scooter, Votto, and Suarez bat 1, 2, 3. All day every day. BA leader followed by OBP leader followed by RBI leader. Easy peasy. Paint by numbers. Lineup fills itself out. Explain why any of those guys is batting FIFTH in the lineup while Billy bats first. Makes zero sense. Thanks for leaving your all-stars on deck or in the dugout while Hamilton and Peraza make the last outs of the game. Yep.Sad isn’t it when you chose that is the way you want to play.Again the laughing stock of the league. Some minor Tweaks, Votto, Scooter, Suarez SHebs. 8. billy 9 peraza pitcher bats 7th. That way first time though Votto can get hit in and second time through he may be hitting people in. Lineup construction doesn’t always matter that much, yet, Hamilton is probably the worst hitter in MLB and has no business anywhere near the top of the order. Reds just never seem to learn, guess that is why they have 4 straight 90+ loss seasons. I vote for Votto, Suarez, Gennett at least 2,3,4 if not 1,2,3. Throw Winker in the leadoff next year, or Schebler/Senzel if you really must have speed at the top of the lineup. Give Peraza the 9 spot, Barnhart 7, pitcher 8. Remainder of spots filled in based on how Winker, Schebler, and Senzel are used. Herrera can fill in for OF or IF spots, Blandino is reserve SS. Ervin or Hamilton (if Bob C must have him on the team) are 4th OF. Casali as the backup C. Defense is still lacking but offense should scoree runs. Making another guy look like Cy Young. Our pitcher just gave the best at bat we have had through 3 innings.No way this offense is nearly good enough.Somebody wake up and start giving major league at bats. Maybe not. Worst case scenario start for Reed as it turns out. Not Chris Welsh. He just said if Reed controls the running game, he could ptich on a championship caliber team next season. Thom is effecting Welsh, even though he isn’t on the broadcast. Just say stuff sometimes, no matter how outrageous, just to gloss over how bad this team is right now. Idk. Reds employees are paid to deliver Bobs message. I listened to this weekend to a lot of radio baseball. Marty was speed…speed….speed….. Can’t coach Hamilton speed. Maybe he knows where they are going to trade him too. LH version of Stephenson. The Reds are incompetent at developing pitchers. In this ballpark, it’s a death wish. THAT is the difference in the Cardinals way. THat doesn’t seem right. I wasn’t around in the 50s but the Paul Householder/Johnny Bench (3B version) teams of the early 80s were horrific and the Junior/Dunn teams were horrible too. I’m guessing most of the Junior/Dunn teams slugged their way to 74 wins or something? Had enough of this one….they’re just going thru the motions. Dominated by the sorry @#$ pirates again. Reed looked a little better lately, but this is how he would look in the rotation. They need 2 starters from outside the organization and they’ll get 1/2 starter from somewhere. Somebody that had a good year in 2013 or something that will be happy to sign because the Reds are his last stop. Really sad.Really pathetic.Really not a good vibe.Really not a winning culture. But apparently the FO feels momentum will be there in the off season. He will have to shut them out to win because this offense is just terrible.Game will be over before everybody gets to there seats tomorrow. Keep your chin up boys….Homer’s going tomorrow!! No way we get swept by the Pirates again. Has any starter ever pitched all year and his team won once? Seems unlikely? Maybe the 62 Mets? Look the Facts don’t lie, Cody Reed has done well has a reliever and has done horrible as a starter. Look on the Bright side, at least we have peralta’s replacement. Shoot! I just got home from meet the kindergarten teacher night and was planning to watch the game and iron for two hours. I think IÃ¢â‚¬â„¢ll start game of thrones instead. IÃ¢â‚¬â„¢ll read the recap later. FYI I heard Marty say that Peraza would get no more days off. Is there any doubt which team is a major league team? Its time to look at Amir Garrett as a starter again. In April of 2017 he wasn’t throwing very hard, but he had a good changeup. It seems like he gave that up when he was throwing harder out of the pen? A lefty with a good breaking ball, changeup, and mid-90s heat has a chance! Mahle & Sims need as many looks as possible too. Lorenzen…duh? He’s no DeGrom, but he’s about as good as they have currently. Needs to start and bat 5th-6th. Play OF after he starts and then rest for 3 days. The rest have had their chances. Enough is enough. They have already said Mahle will get another look. Amir is on the DL. Sims may get Reeds Starts if Reed continues like this. Lorenzen, I could see it, but there is a Article here about a month back that said it wouldn’t work out. I still think we should Just get the Position Players out there every 5th day, We need the extra Bat. and noone has scored off of them yet. There’s a very good chance Lorenzen and/or Garrett would be better off as relievers, but desperate times require desperate measures. What do they have to lose? Another 95 loss season? So what? I like Lorenzen more because a sinkerball pitcher can be better when he’s a little tired. There’s a little more sink on the ball. Cookie time in the 7th and 8th.Get ready to pad those stats. Pretty sure he just left his phone on as well. Rookie Broadcasting move. Remember the Who song…..I won’t be fooled again! He’s not stealing much. Gets picked off once a week and a 3-30 is always right around the corner. Peraza 2-25 by the way. He’s about the same. Better hitter but zero power in a place where the opponents have 8 guys that can hit it out and spotty fielder. I’m shocked Duvall brought back both of those guys. They were both pretty good prospects with the Braves at one point and they’re both still young. Wisler came up as a starter w/the Braves at 22 and had a 4.71 era. Me too but the Braves are so far along in the rebuild then we are.They decided these guys weren’t as good as some of the others and we just keep acquiring players and hope we strike gold.They know what they have we know nothing. Riggs is in it now.The double switch with Billy done and Gurrerro who just batted 9th playing center and Wisler pitching.Had to get Billy one more at bat. He called for garbage time offense upthread, starting in the 7th. Told you he would get a cookie and he chomped it.Go Scooter.Stats can be sometimes what you want them to be can’t they? LIke the game winner in Milw….the would’ve been game winning double in gabp vs Milw but our pitching blew it. Scooter has been clutch this year! Leads the NL in hits for God sakes?? Cmon? I love him too.Just was pointing out how much of the garbage time offense we get and how much they inflate individual and team stats.Nothing against Scooter.I could see he would be up in the 7th and since he had K’d twice he was any easy guy to target.He has been clutch. I wonder if most of RLN is still going to be upset when they sign Scooter to a 3-4 year deal? Personally I don’t think 3 with a team buyout for the 4th is a bad thing. I’m also not against selling high, but he’s not going to bring a top flight pitcher. Suarez, Scooter, Joey, Senzel, and Winker are the core of the offense for the next few years. They just need to take their beating next year and figure out how to best use Homer’s 20 mil for someone worthwhile in the meantime. No, then use Dilson as Trade Bait, 4y is a perfect go for Scooter I think, and I think He will go for it as well. If he is signed, he is signed. The fact that Scooter can’t bring back much tells me the Reds should not bid against themselives. I would like to see 2 years at $X (12 to 15 per year…in that range…set for life money for Scooter) and team option on year 3. Scooter wants to stay, would probably take it. But, the Reds executives seem so concerned about players’ feelings, probably 3-4 year deal. No way anyone is going for 2, he still has a year of Arb remaining. 3y and a vesting option would be best, that way you can guarantee that if he here a 4th year he was good the 3rd. I suspect 4 years guaranteed counting next season plus a team option for a 5th. Hopefully the $$$ levels don’t make in untradable in the last 2 years and it doesn’t include a restrictive nonmovement clause. I would not buy out the last Arb year. Let him sweat free agency and add another year to the odometer of his career. There is little to no market for him now, doubt it greatly changes a year later. But, again, “feelings” matter to the Reds executives, from what I can surmise. Thats an even worse idea….if he leave then we have nothing. Or a 18 mil plus 2b when he accepts the QO we would have to give him. Extend him through 2023 12 aav is about right. We got lucky with his waiver claim lets not make the same mistake twice. Maybe that was a cookie too? For those that stopped keeping track at home, the merely average Scooter is now in the top 10 (NL) for the following categories. and for those old school stat lovers he leads the league in batting average, hits and roughly top 10 in RBI. I suppose regression will have to wait until 2019, bummer.